FREE RACING HAS COME TO SOUTHWEST FLORIDA! Get ready for a challenging loop of sand, gravel, grass, single track and a little asphalt. 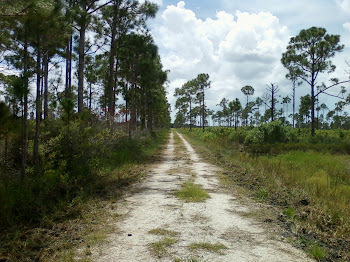 You will see a lot of wild pigs, gators, armadillos, maybe some snakes, turkey and deer too. The ride is unsupported so you are on your own. A water/concession stop will be available near the halfway mark. You are responsible for yourself. The loop will connect three wilderness areas starting at Deer Prairie Creek, going through the Carlton Reserve and the Myakka River State Park. The start and finish will be in North Port, FL. More details to follow.